The Iron Throne is not very comfortable in many ways. Made from thousands of swords, this monstrosity is studded with pointed and sharp edges of cold metal. But the Iron Throne is not only literally uncomfortable, for it is the seat of the King of the Andals and the First Men - the symbol of the reign over the Seven Kingdoms. You, on the other hand, can lean back and relax, unlike the rulers, because with the foam tray specifically tailored to the Iron Throne, this impressive miniature is absolutely safe. The same applies to the exclusive figures of the Kickstarter campaign, which are also included in this box set. The foam mat for the throne is divided into 4 compartments. The large compartment is custom-made to fit the Iron Throne. For the platform on which the throne stands, there is an extra compartment. 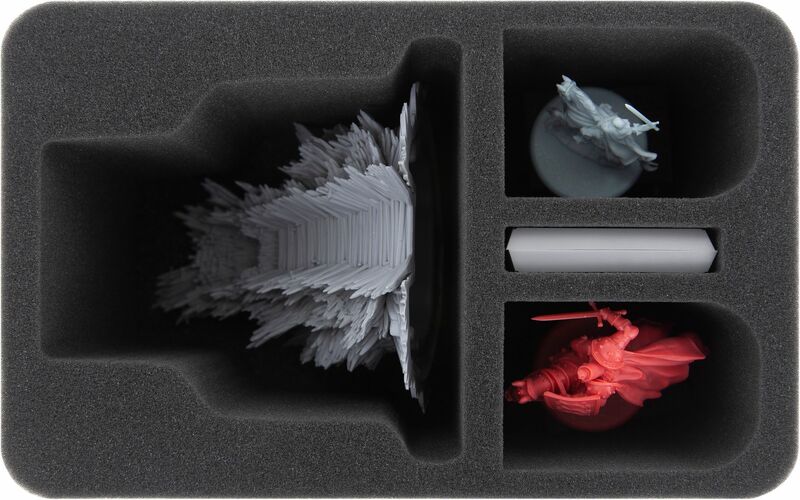 Two additional compartments can be filled with miniatures of your choice, such as Mounted Brynden Tully and The Mountain That Rides. 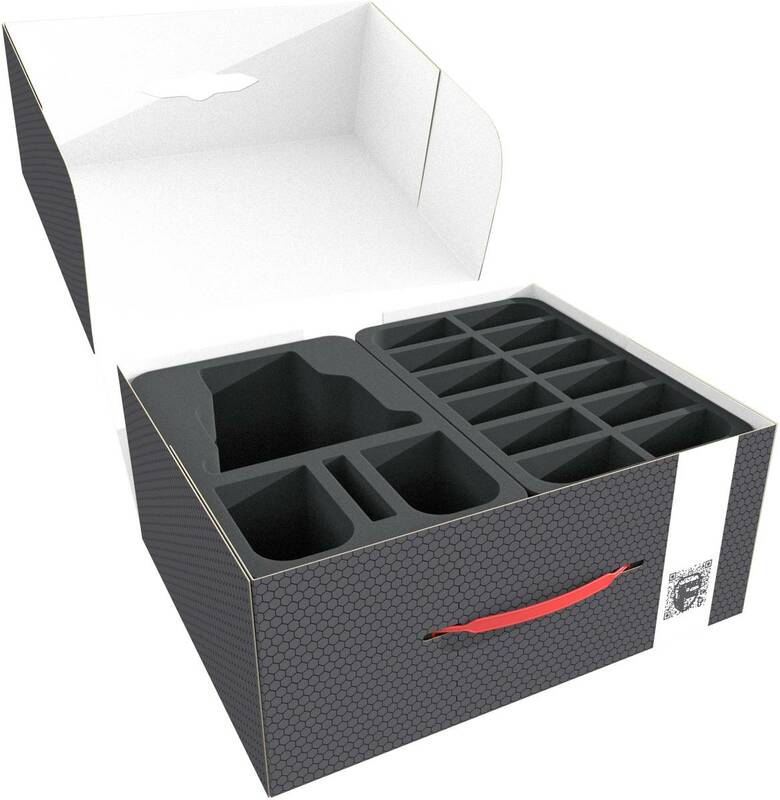 Each of the 2 compartments is 88 mm long x 58 mm wide x 125 mm deep. 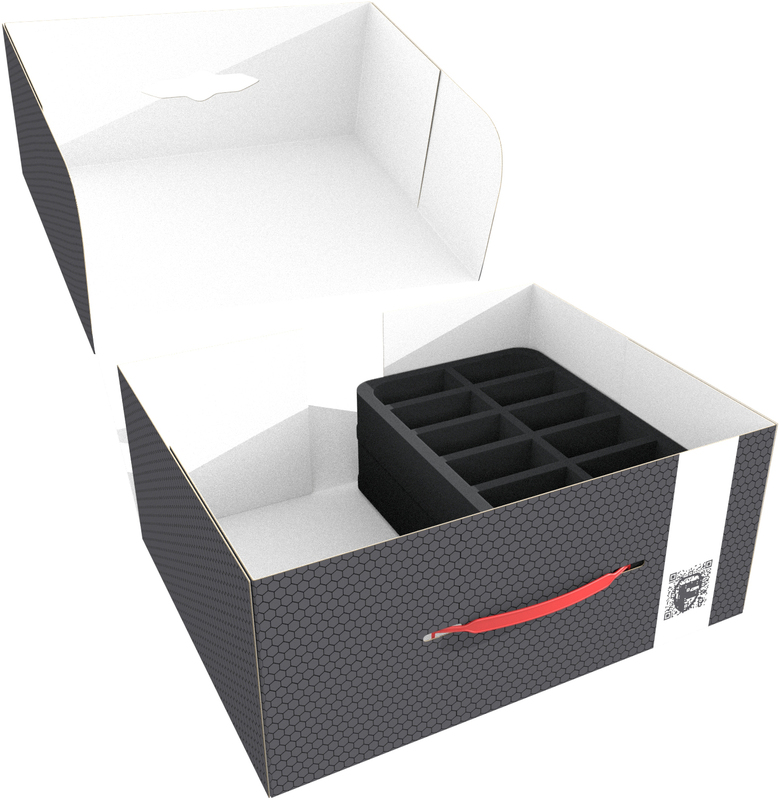 Three more foam trays offer a safe place to the Kickstarter exclusive figures. Gregor Clegane, Greatjon Umber, The High Seneschal or the alternative miniatures for the Dreadfort Captain and Robb Stark, all find their place in precisely fitting compartments. Additionally, the Deluxe Activation Tokens, in the form of plastic banners, can be sorted here. Wrapped in soft foam, the figures are optimally protected from damage. The swords stay sharp and the heads stay on - at least until the next battle. If you paint your miniatures, you no longer have to worry about them sliding around or bumping into each other, ruining hours of painstaking painting. The colors remain unharmed and free of scratches. Each of the 36 compartments is 73 mm long x 36 mm wide x 35 mm deep. The additional foam base is used for height compensation and the foam topper ensures that everything is securely packed and ready to carry. 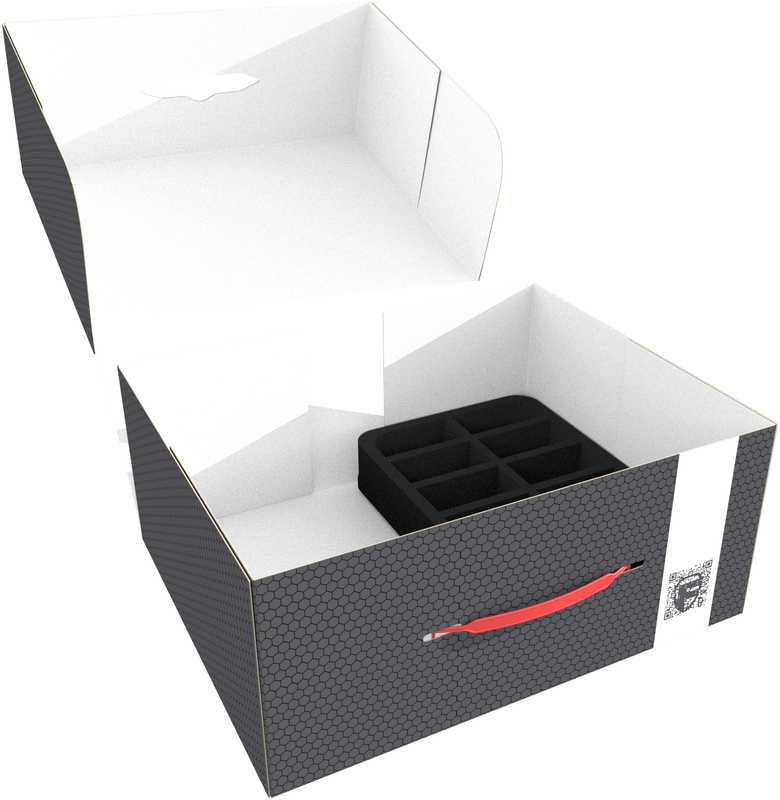 The storage box made of coated, double-walled cardboard is not only lightweight, but also very robust and therefore ideal for storing foam mats and miniatures safely and dust-protected. With the plastic carrying handle you can easily transport your collection.